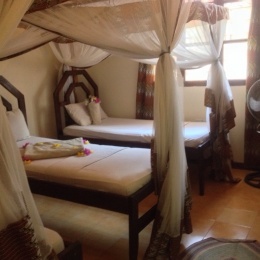 The Guesthouse offers private rooms en-suit toilet for all lovers of the sea and nature, with excellent value for money. 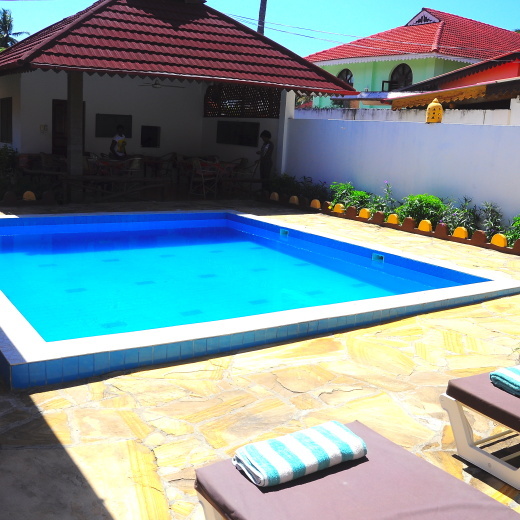 The terrace overlooks the pool and offers sun beds. Internet available. 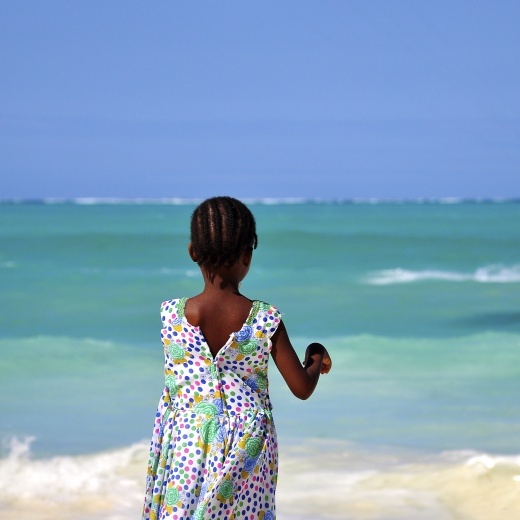 We offer opportunities for fishing, diving, snorkeling and several tours like swimming with dolphins, Stone Town, Jozani Forest, Sandbanks among other exciting activities. You can get also good deals for Safari in Tanzania with us. 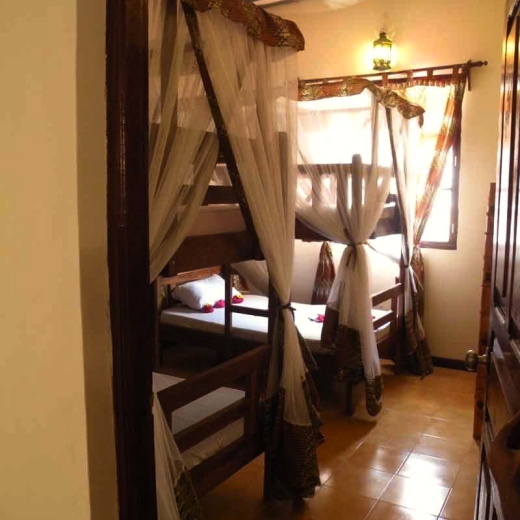 Hakuna Shida Guesthouse is 45 minutes away from Stone Town and an hour drive from Zanzibar International Airport. We offer airport pick up and drop off service.